In a new trailer at the 2018 Game Awards, Dauntless revealed Phoenix Lab's new vision for the online monster slaying game. In addition to showing some new content for the game, the slogan showed that Dauntless is coming to consoles and mobile platforms next year. This is part of Phoenix Lab's "One Dauntless" initiative, a goal designed to get the game in the hands of as many players as possible. In 2019 – when the game is officially released – players will be able to play Dauntless on the platform of their choice with the person they want. The game will boast platform games, so players from all walks can kill Behemoths together. In a brief interview with Polygon earlier this week, Phoenix Labs talked to us about trying to make the "One Dauntless" work flawlessly. One of the studio co-founder, Jesse Houston, said that while they still work through technology, the goal of all players is to be able to save them to some of Dauntless's platforms – basically being able to keep their progress wherever they play. This december also brings a new seasonal event to Dauntless with the Frostfall winter event. Players will be able to explore their hub in Ramsgate as a frozen over version of the famous city. A new Behemoth – Valomyr – will also debut during the event. Finally, Dauntless will introduce Hunt Pass together with Frostfall – all of which start today, December 6th. Hunt Pass gives players a season of goods, cosmetics and emotions for $ 10. In the conversation with Phoenix Labs, Houston compared it with Fortnite's Battle Pass. When we last visited Dauntless in the open beta, we found the art style and the gameplay to be charming and fun. The game has evolved since then, and according to Phoenix Labs it will continue to do so in the coming years. 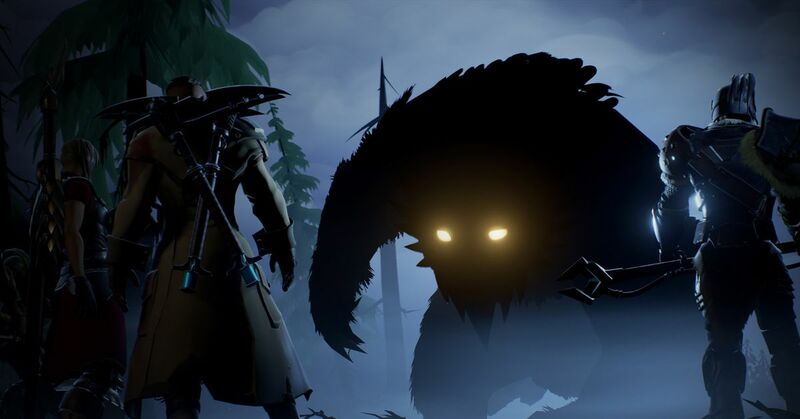 Dauntless will be released for PlayStation 4, Windows PC – through the new Epic Games store – and Xbox One in April next year, with Switch and mobile coming on the latter dates.